Bloomsbury USA Childrens, 9781599906584, 288pp. 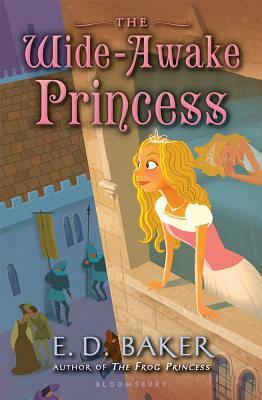 The first book in a new series by the author of The Frog Princess, a delightful re-imagining of Sleeping Beauty. Princess Annie is frustratingly (and luckily) resistant to magic. When her sister Gwen pricks her finger and the whole castle falls asleep, only Annie stays awake. Now it's up to Annie to find a prince to kiss her sister and break the spell. But who is her sister's true love? And what about Annie's own happily-ever-after? Annie travels through a fairy tale land filled with characters both familiar and new in this original adventure from the beloved author of The Tales of the Frog Princess. E. D. Baker is the author of seven books in the Tales of the Wide-Awake Princess series, including The Wide-Awake Princess, Unlocking the Spell, The Bravest Princess, Princess in Disguise, Princess Between Worlds, The Princess and the Pearl, and Princess Before Dawn, as well as the Tales of the Frog Princess series, the Fairy-Tale Matchmaker series, the Magic Animal Rescue series, the More Than a Princess series, and other delightful books for young readers including Fairy Wings, Fairy Lies, and A Question of Magic. She lives with her family and their many animals in Maryland.